Improving indoor air quality is important to maintaining a clean and healthy environment in your home. When our indoor air is clean, we can breathe properly and relax more easily. However, poor air quality can trigger allergic reactions, hinder breathing, and prevent you from fully enjoying your indoor space. If you are noticing that your indoor air quality seems to be on the decline, there are many things that you can do in order to help the situation. Below, you will find simple tips for improving indoor air quality, which will help keep your air fresh throughout your home. If your indoor air quality seems to be low, evaluate the current ventilation system you have in place. Sometimes, improving indoor air quality can be as simple as checking and cleaning a few vents or replacing filters. Once you have identified vents that are causing problems, create a proactive cleaning and maintenance routine every two to three months to keep your ventilation system in tip-top shape. Refer to your HVAC’s manual to learn how often you should be changing the air filter. During the spring and fall when you may not have to rely on your heating or air-conditioning unit, consider using ceiling fans to circulate air throughout your home. Just as you would maintain heating and air-conditioning vents, make sure that you take the time to clean and dust your ceiling fans so that they are not dispersing dust instead of circulating clean air. Open a few windows each evening in order to replace stagnant air with fresh air from the outdoors to improve air quality in the home. A good strategy to take advantage of natural air is to open all of your windows on a day when you’re cleaning your home. This will help eliminate the buildup of dust and other allergens, helping your home smell clean while also restoring the indoor air. 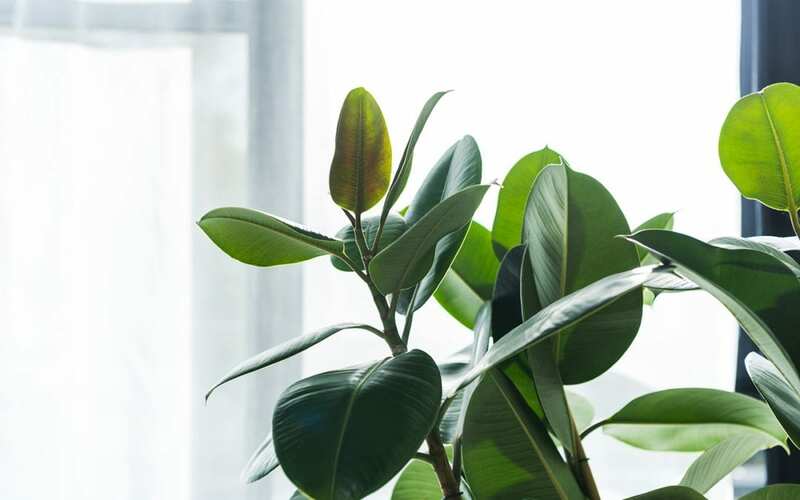 A natural solution that many people use to achieve better indoor air quality is to place houseplants throughout their home. All plants have the capacity to extract carbon dioxide and other toxins from the air, converting them into oxygen and restoring air quality. While any houseplant will make a difference in producing more fresh oxygen for your home, Aloe Vera, Snake Plants, and Spider Plants are among the most popular choices for improving indoor air quality. In fact, NASA has included these plants as among the best in restoring indoor air quality. In addition to producing fresh oxygen, these plants are capable of filtering harsh chemicals and other pollutants from the air, especially mold spores and chemicals produced from cleaning products. HEPA filters are powerful air-purifying tools that can remove almost 100 percent of toxins and harmful, microscopic pollutants from your indoor air. Air-filtering devices can vary in size and can be purchased for both large and small spaces. The technology has advanced in recent years so units operate quietly while continuing to pump out clean, filtered air throughout the day. People who invest in HEPA filters often claim a notable improvement in air quality in as little as 15-20 minutes after turning on the device. Check HGTV’s post about air-purifying filters to learn more about the benefits of these machines. One of the biggest factors that can compromise the air quality of your home is mold. While it may initially be unnoticeable, over time mold can cause difficulty breathing, irritated sinuses, and an overall sense of fatigue. Make it a routine to check underneath sinks, pipes, and water-consuming appliances for leaks or water spots. Mold thrives in wet, damp areas, and an isolated area can quickly turn into a full-on mold infestation. If you find isolated spots of mold, you can try to treat them with an overnight coating of bleach. However, if you find repeated instances of black spots or patches in your home, you should contact a mold specialist for a better way to treat the problem. Over time, moisture buildup can truly compromise indoor air quality and your ability to enjoy your home. Along with the above recommendations, you should make sure to always have a routine cleaning schedule to vacuum, eliminate dust, and disinfect surfaces within your home. When possible, try to use natural cleaning supplies instead of those packed with harsh chemicals that release toxins and pollutants into the air. A clean home contains cleaner air and offers you a comfortable place to relax and unwind at the end of a long day. Republic Home Inspections serves the Greater Las Vegas area with home inspection services. Contact us to book your inspection.